The one hundred and twenty seventh episode of the Yes Music Podcast, featuring a few thoughts about the name of the new Yes studio album, ‘Heaven and Earth’. Does this sound like a Yes album title? What influence has Jon Davison had? 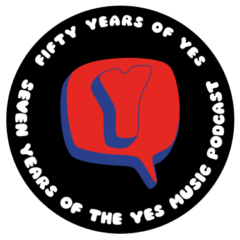 The one hundred and twenty sixth episode of the Yes Music Podcast, featuring featuring part 2 of my plans for how to listen to the Yes concert I am attending in May 2014. What should I be looking out for when I go to see Yes live? Should I try and listen critically to every track? Should I just enjoy the experience and not worry? The one hundred and twenty fifth episode of the Yes Music Podcast, featuring part 1 my plans for how to listen to the Yes concert I am attending in May 2014.